Your cake looks terrific- the candied clementines area nice touch. Love the addition of the candied clementines! I love the garnish! How pretty! This was a lovely cake. This was definitely a crunchy cake. Thanks for the tips on freezing citrus zest and poppy seeds. Grand Marnier? Oh, yes, that would be good in this cake. Definite crunch on this one! The clementine adds to the simple elegance…beautiful. 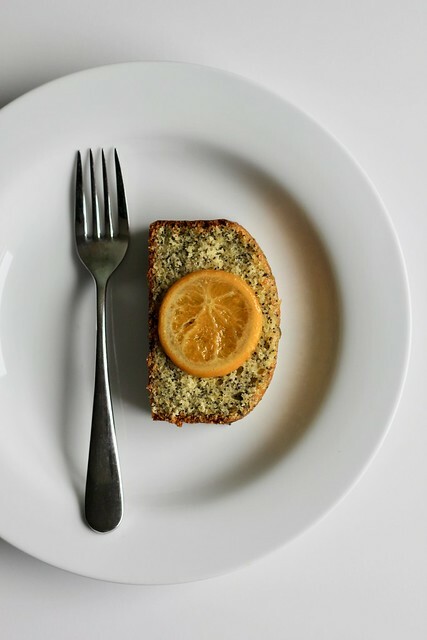 Don’t think I have ever tried an orange poppy seed cake and it sounds and looks delicious!